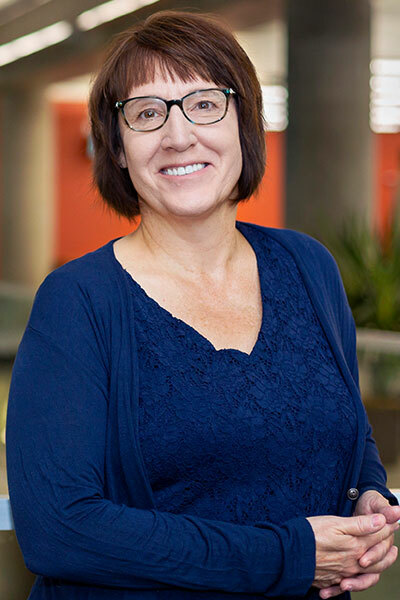 Angela Minichiello, MSME, P. E.
My research explores how advancements in educational technology, online learning, and knowledge of contemporary engineering practice can be used to improve access, participation, and inclusivity in engineering education. My research explores how advancements in educational technology , online learning, and knowledge of contemporary engineering practice can be used to improve access, participation, and inclusivity in engineering education. Wilson, A., Minichiello, A.L, (2017). Disciplinary literacy in engineering. Journal of Adolescent & Adult Literacy, 6:1, 7-14. Minichiello, A.L, Glezer, A., Hartley, J.G, Black, W.Z, (1997). Thermal management of sealed electronic enclosures using synthetic jet technology. Advances in Electronic Packaging, 2:ASME, 1809-1812. Strongly influenced by my personal experiences as a military veteran, nontraditional engineering student, and practicing mechanical engineer, I have developed a deep desire to work towards expanding access, broadening participation, and cultivating a culture of inclusivity within engineering education. As we face the unprecedented economic, environmental, societal, and technological challenges of the 21st century, our nation’s engineers are called to rise to new levels of expertise, ingenuity, collaboration, and collective vision in order to develop enduring, sustainable solutions on a global scale. Against this contemporary backdrop, I am motivated to explore topics related to the recruitment, retention, and preparation of engineers who will take the lead in tackling 21st century challenges. Specifically, my current research is focused on understanding how traversable engineering pathways may be realized for nontraditional, low-income, first-generation, and veteran undergraduates. Additionally, I am involved in curricular innovation projects aimed at implementing and assessing the use of e-learning technologies to engage diverse undergraduates in engineering. I use qualitative and mixed methods research approaches to challenge the status quo for the purposes of expanding engineering opportunities for people of all backgrounds. The following questions are representative of the ideas important to my work: How can emerging technology and understanding of contemporary engineering practice be leveraged to transform traditional approaches to engineering education? How can deterrents to the access of engineering education along alternative or nontraditional pathways be reduced or eliminated? How can a culture that considers diversity of thought and experience as natural and essential to ethical engineering practice both emerge and thrive? If you are interested in exploring issues of access, participation, and inclusivity in engineering education and would like to learn more about my research, please contact me via email at angie.minichiello@usu.edu or by phone at (435) 797-6370. The purpose of this early stage design and development research is to advance knowledge by developing a robust model of disciplinary literacy in engineering that can be tested in diverse K-16 classrooms. A multiple, comparative case study will describe how eight engineers from varied companies and sub-disciplines (aerospace/mechanical, biological, civil/environmental, and electrical/computer) use literacy practices to solve problems through engineering. A constant comparative analysis of think-alouds, observations, and interviews with each engineer will result in the identification of common cognitive frameworks that engineers use while they interpret and generate core texts. This instructional approach is expected to broaden participation by providing underrepresented students with literacy instruction designed to support their engagement with engineering. Future studies will test whether disciplinary literacy instruction leads to positive outcomes, such as an improved ability to engage in complex engineering design processes, among underrepresented K-16 students. While early undergraduates may interact with engineering faculty in introductory level engineering science and/or graphics courses, the bulk of engineering students’ experience during their first two years does not directly address engineering student outcomes. As a result, early undergraduates may fail to develop specific learning strategies and practical skills needed for success in engineering practice, as well as miss opportunities for engagement in formal and informal learning and research activities available within the larger engineering community. The National Science Foundation (NSF) chartered the Foundation Coalition (FC) to explore these issues and to develop innovative curricular models to address engineering student retention, learning, and practical skills development. This work presents a synthesis of the FC’s findings taken from the literature. These findings are used to identify and explore solutions to challenges we face as we develop and implement a new 1st year mechanical engineering curriculum at Utah State University (USU). This project is supporting a national need to rapidly increase opportunities for underrepresented student groups (geographically dispersed rural residents, working professionals, and women) to pursue engineering degrees via distance education. The numbers of nontraditional students now participating in distance engineering programs necessitates innovative instructional interventions to support them within these challenging new learning environments.